One of Movado’s newest releases is the Red Label. Included in this collection is the Movado 606284 Red Label Men’s Watch. 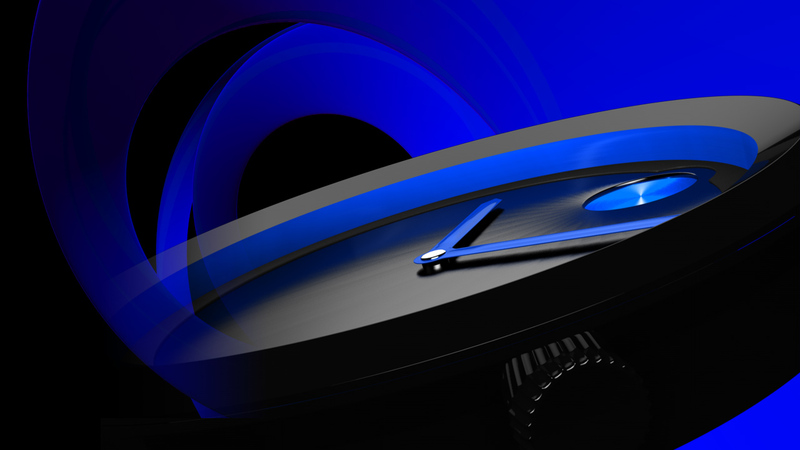 From the first glimpse you notice the sleek design and universal look of the watch. Once you take a further interest, you will be pleasantly surprised with the amazing features this watch has to offer. Movado is one of the most prestigious watch making companies worldwide… when you purchase a Movado timepiece you are certain to be satisfied and happy with your decision. Like previously mentioned, at first glimpse the sleek design is sure to catch your attention. Without a doubt the paramount feature is the unique and animated date display. Set on a jet black face and parallel to the bezel is this very distinctive circular date demonstration. It rotates clockwise, with the correct and current date exposed above the 6 o’clock spot. Also, rested just below the date at the bottom of the face is the only red marking on the watch. It reads “automatic Swiss Movado made”, hence the name of this collection; Red Label. The only other physical feature on this timepiece is the black museum dial with logo and silver-toned dot marker at twelve o’clock. This classic men’s Red Label museum calendomatic automatic watch has a solid stainless steel case and bracelet. It is an automatic movement (self-winding) and features a scratch-resistant sapphire crystal. 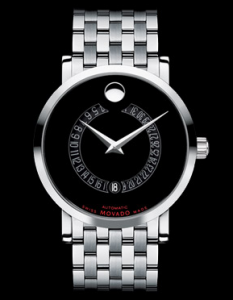 The Movado 606284 Red Label Men’s Watch is retailed at $1,795.00 and is available on the official Movado website, at various Movado boutiques and throughout many retailers in the US, Canada and internationally.